Our dilution range starts from 6CH potency. Many a times physicians prescribe some of the dilutions in 3x potency. 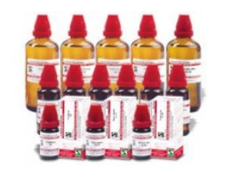 Schwabe offers 44 dilutions in 3x potencies. Indication : used in treatment of acute articular and peri articular disorders, and painful musculoskeletal conditions. Dosage : 1 teaspoonful diluted in quarter cup of luke warm water twice daily. 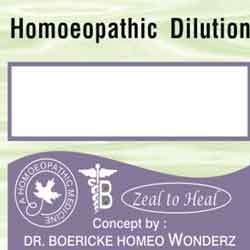 We are one of the most prominent wholesalers of German Single Medicine Dilutions. Processed suing high quality ingredients, the medicines meet international quality standards. Furthermore, the products are prepared in a hygienic environment, therefore, these are safe for consumption. Customers can avail from us these products at customer friendly prices.